The heart is a two-stage electric pump whose job it is to circulate blood through the body. The initial electrical impulse that begins the process of a heartbeat is generated by a group of cells located in the upper chamber of the heart, the atrium. These cells act as an automatic pacemaker, starting the electric signal that spreads along the “wiring” within the heart muscle, allowing a coordinated squeeze so that the pump can function. The heart has four chambers. The upper chambers are the right and left atria (singular = atrium) while the lower chambers are the right and left ventricles. The right side of the heart pumps blood to the lungs while the left side pumps it to the rest of the body. Blood from the body depleted of oxygen and containing carbon dioxide is collected in the right atrium and then pushed into the right ventricle with a small beat of the upper chamber of the heart. The right ventricle pumps the blood to the lungs to pick up oxygen and release the carbon dioxide. The oxygen-rich blood returns to the left atrium where the small atrial beat pushes it to the left ventricle. The left ventricle wall is much thicker than the right because it needs to be strong enough to send blood to the entire body. 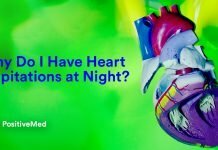 may occur because of problems within the heart itself or be the result of abnormalities in the body’s environment that can affect the heart’s ability to conduct electricity. Cardiac or heart muscle cells become irritated when they are depleted of oxygen. This can occur during a heart attack, in which the coronary arteries, the blood vessels that supply the heart with blood, are blocked. Lack of oxygen can occur when the lungs are unable to extract oxygen from the air. Significant anemia, or low red blood cell count, decreases the oxygen-carrying capacity of the blood and may prevent adequate oxygen delivery. Rapid heart rates may be due to “wiring” problems with the electrical pathways in the heart. This can cause “short circuits” making the heart speed up and beat 150 beats a minute or more. 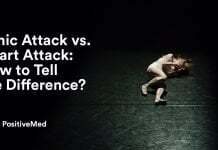 The abnormality can be due to a physical extra electrical pathway such as that seen in Wolff-Parkinson-White (WPW) syndrome, or it can be due to changes in the electrical physiology between a few cells, like in atrial flutter. can also occur because of environmental issues that affect the heart. These can be intrinsic to the body, like anemia, abnormal electrolyte levels, or abnormal thyroid hormone levels. 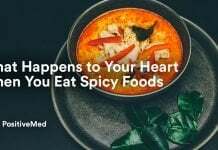 They may also be due to reactions to outside influences like caffeine, alcohol, over-the-counter cold remedies, or stimulants such as amphetamines. To the cardiac muscle cell, they all appear to be adrenaline-like substances that can cause cell irritation. can also be problematic. If the heart beats too slowly, the body may not be able to maintain an adequate blood pressure and supply the body’s organs with enough oxygen-rich blood to function. Slow heart rates may be due to aging of the SA node (the pacemaker of the heart) and its inability to generate an electrical pacemaker signal. Often though, it is due to the side effects of medications used to control high blood pressure. 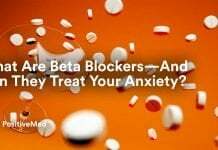 Side effects of beta blocker and certain calcium channel blocker drugs include a slowing of the heart rate. Body environment is also important with slow heart rhythm abnormalities. Hypothermia, or low body temperature, is a potential cause. Many people may have heart rhythm disturbances and never be aware of them. Premature atrial contractions (PACs) and premature ventricular contractions (PVCs) are variations of normal and most often, people are unaware that an extra beat has occurred. However, some patients are keenly aware of any extra heartbeat, even if it is a normal variant and requires no treatment. That said, the initial symptom of dysrhythmia is often palpitations, a sensation that the heart is beating too quickly, too slowly, beating irregularly, or skipping a beat. The palpitations may be intermittent or may require medical intervention to resolve. Because of the heart rhythm abnormality, other symptoms may occur because of decreased cardiac output (the amount of blood that the heart pushes out to meet the body’s demand for oxygen and energy). The patient may complain of lightheadedness, weakness, nausea and vomiting, chest pain, and shortness of breath. If one is experiencing any of these symptoms, especially two or more, it is time to see a doctor. Don’t put it off for any reason, an ounce of prevention is worth a pound of cure. Previous articleWhat’s Really in Your Chicken Nuggets? Next article7 Ways to Get Rid of Dark Armpits Naturally! 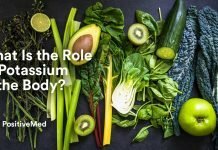 What Is the Role of Potassium in the Body?